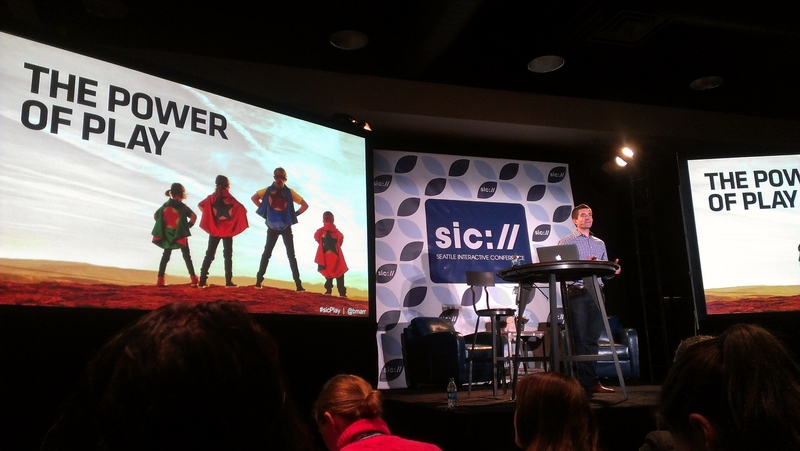 Brian Marr speaks about “The Power of Play” on Tuesday at SIC. With two faculty members on the advisory board, three faculty speakers, a couple of alumni presenters and about a dozen students in attendance, Communication Leadership took the Seattle Interactive Conference (SIC) by storm. The conference was expanded to three days this year, bringing in speakers, panelists, and networking opportunities from all over the nation and world. The presentations were split up into three categories (digital, design, and develop), and speakers ranged from Callie Schweitzer of TIME magazine, Sanaz Ahari from Google, and Duane Forrester of Bing – representing all sides of the online, technology, and creative industries. Comm Lead student Kendall Barnett said she enjoyed hearing from Roy Sekoff of the Huffington Post. She wanted to attend SIC after hearing from students who attended the conference last year. “Not only do you get to network and learn more about what is out there in the industry, but you also get to come and learn in a different way than you do in the program,” Barnett said. With familiar students and faculty in attendance, Barnett said it was fun to get the chance to network with each other and to learn more about what her peers do outside of the classroom. Marr established a “severe engagement problem” in today’s society and a lack of customer loyalty with the millennial generation. In addition to social media becoming word-of-mouth marketing on a larger scale, Marr said today’s focus is on motivational design. “We are trying to understand how the human brain works in terms of motivation.” Marr said, while referencing Nicole Lazarro’s four keys to fun and the trend of gamification involving points, badges, and leadership boards. 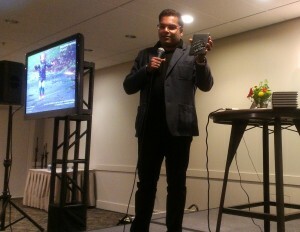 Hanson Hosein shows off his Kindle Paperwhite that he got signed by Amazon founder Jeff Bezos. He ended by highlighting the value of storytelling, which was the topic of Communication Leadership Director Hanson Hosein’s talk later in the day. Hosein used the example of Caine’s Arcade, a story that went viral in 2012, to show that the opportunities for creating content already exists, but making relationships through inspiring content, which leads to trust with an audience, is what matters. “Today, curation as an activity is so valuable,” Hosein said, while describing the level of content creation on smart devices to be like digital scrapbooking. Nowadays, people seek credit for sharing media first in their social circles, not simply for creating it. Hosein said that content is a journey, not a destination, that must involve authenticity, emotion, and utility. 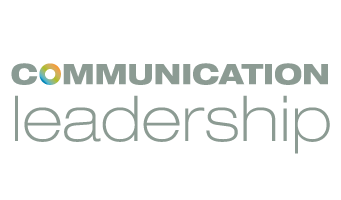 If you’re interested in learning more about the Communication Leadership program, you can attend an Information Session on November 14th. More details here.